Отличен материал за изработката на тела на нимфи, бъзъри, сухи и мокри мухи. Постига се чудесна сегментация. Подходящ за мухи от 12 до 22 номер. Куиловете са от паунови очи и са ръбно избелени! Това ги прави много по-здрави, от подобните на пазара, за които са използвани химикали за избелването им. 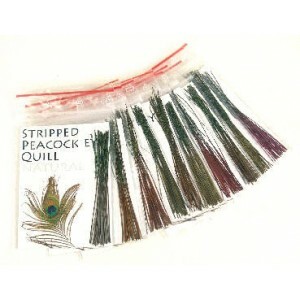 Take the pain, and inconsistency, out of stripping and dying peacock quills: we supply ready to use peacock eye quills in their natural colour, and also dyed in a range of colours. This body material is used to create fantastic natural segmentation of flies tied on hooks from 12-22 – dries, nymphs, spiders and buzzers. 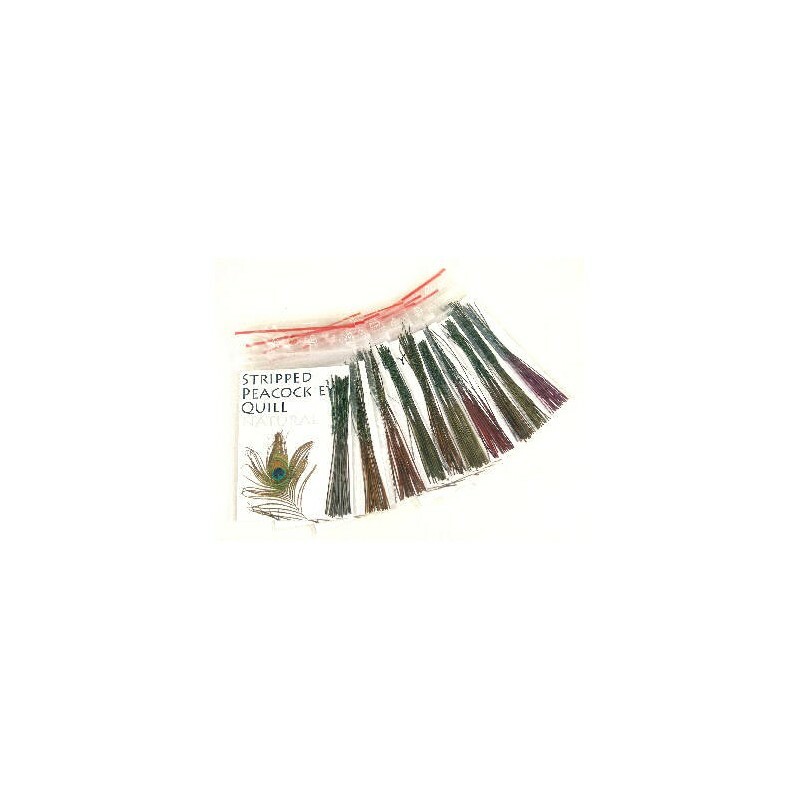 The quill comes from peacock eyes and is hand stripped, which eliminates the problems of cracking as when bleached or chemically stripped. 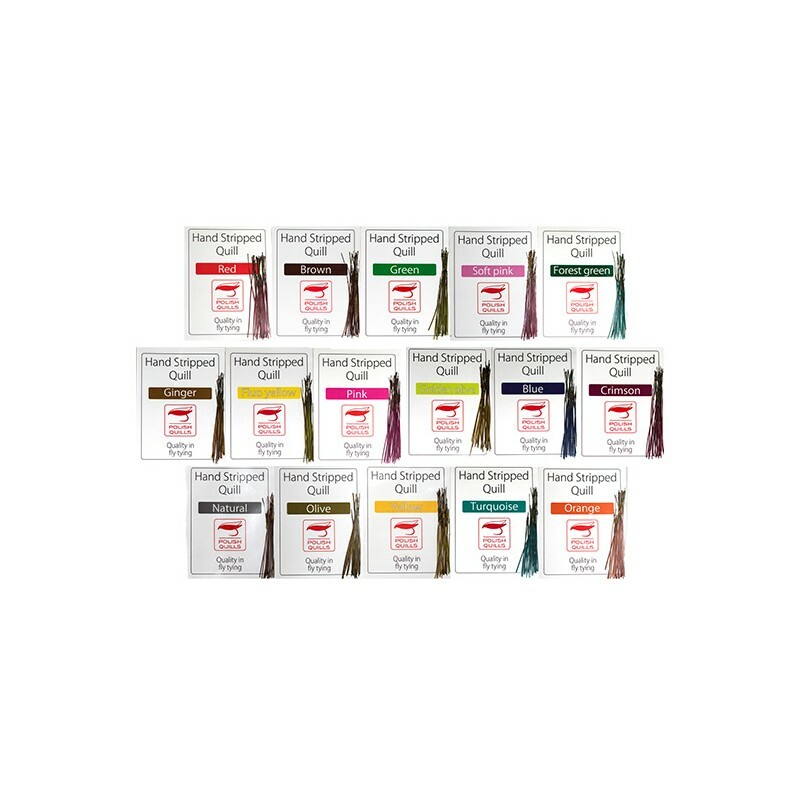 Natural; Olive; Golden Olive; Orange; Yellow; Red; Pink; Brown; Crimson; Ginger, Fluo Yellow, Green, Soft Pink, Forest Green, Turquoise and Blue. Packs contain a minimum of 25 quills, which should produce at least 25 flies. 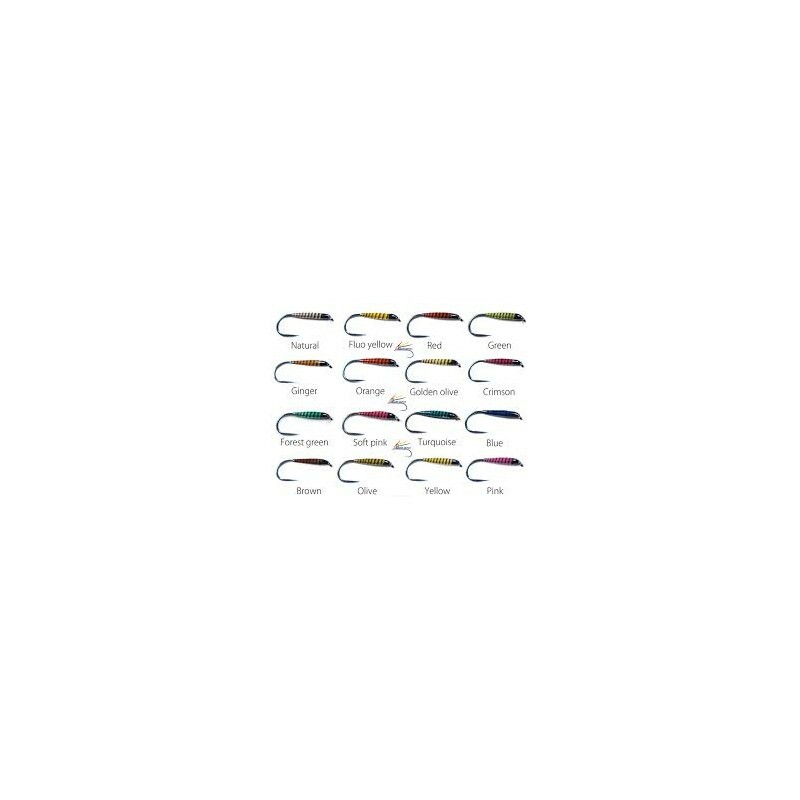 When tying on smaller hooks, each quill can make up to three flies. We know that there is no better solution for creating segmented bodies of flies. We also know the quality of our product is unbeatable. Our product is hand crafted in Poland by ourselves – having the control of every step of production we guarantee the quality. Please note that the colours will differ between displays. 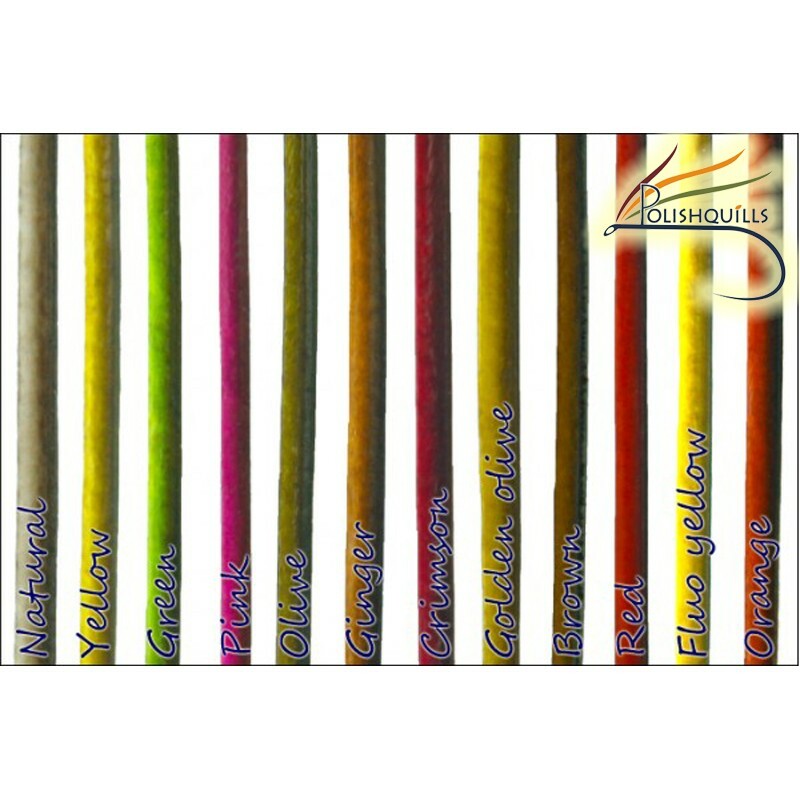 Also, because of natural variation in the raw feathers, the final colours may not be identical between batches, though we try to keep them very close.